The Michelin T63 tires offer a good value for an adventure or dual sport motorcycle tire. They have a long tread life for a knobby tire and they provide excellent handling characteristics in almost all conditions I have tried them in. 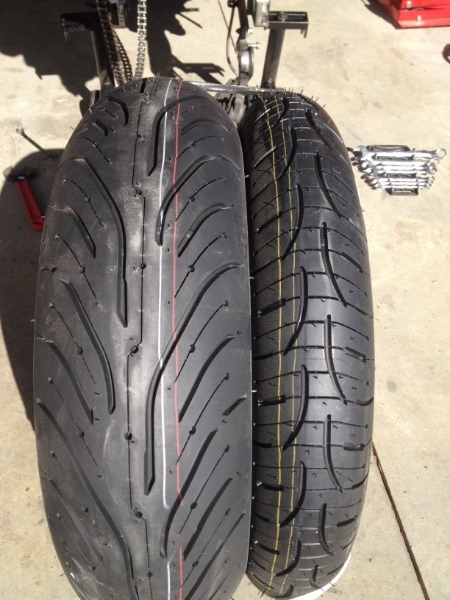 The Michelin Pilot Road 4 tires are the next iteration of a highly regarded product line from Michelin. These tires are competitively priced, features cutting edge tire technology, excellent claimed wear characteristics, and most importantly, delivers rock solid handling.